Hi everyone! 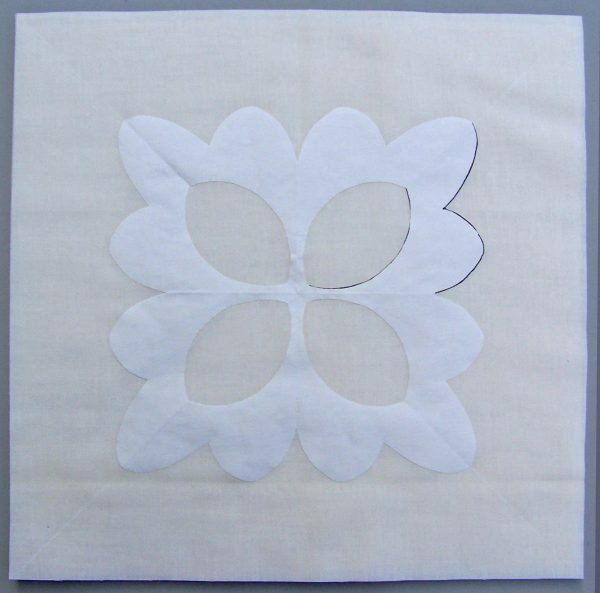 My name is Nancy Mahoney and I’ve been making quilts for over 30 years. My early quilts were hand quilted. 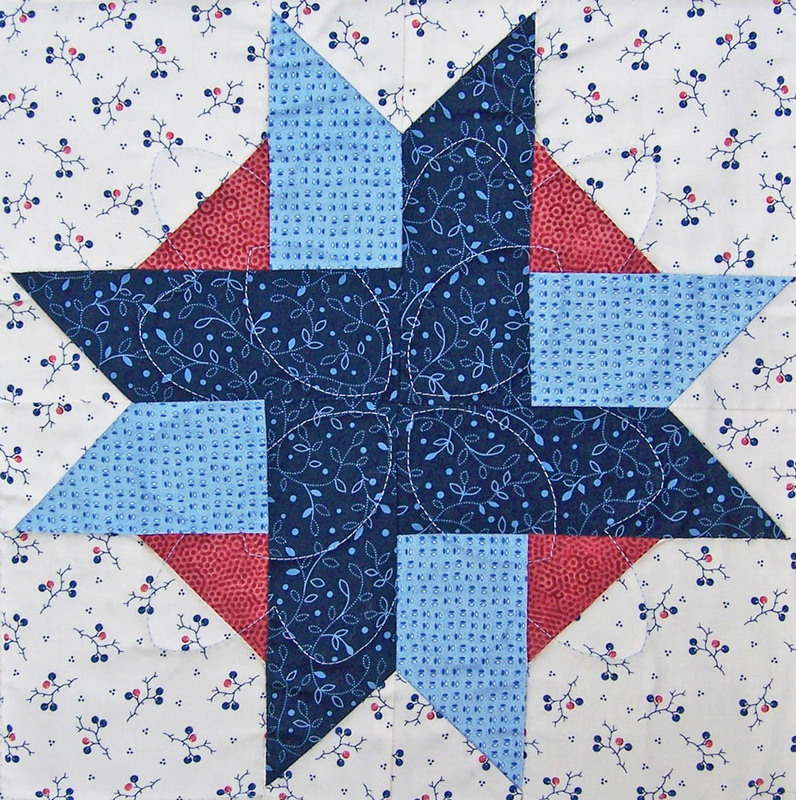 However, for the last 20 years or so, all of my quilts have been machine quilted. When quilting with my BERNINA 790 I use a variety of techniques, including the BERNINA Walking-foot # 50 and free-motion quilting. 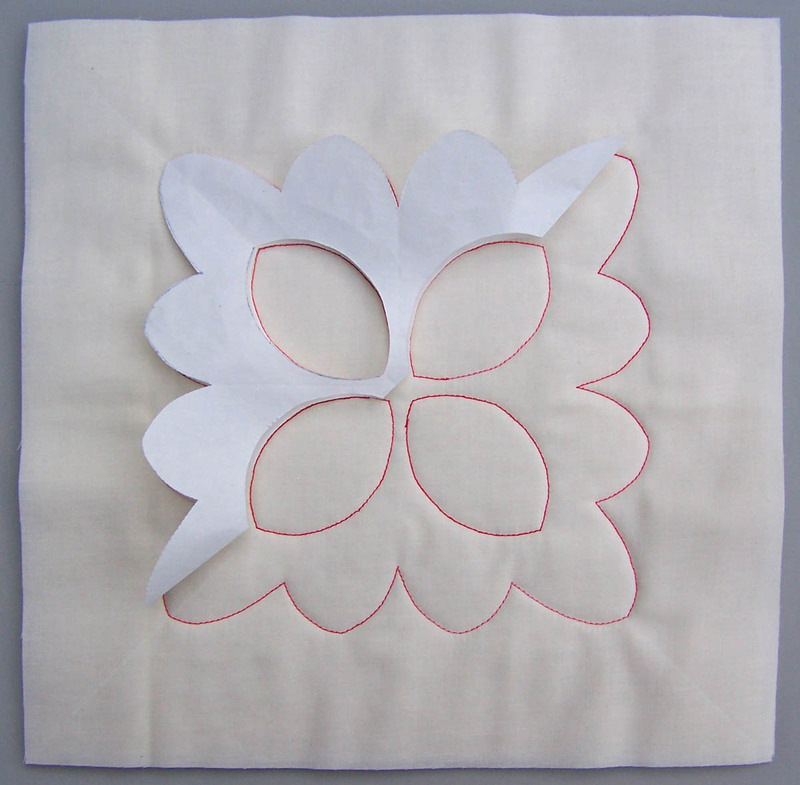 Today, I’m going to show you how to quilt a unique design using your walking foot and my easy No-Mark method. If you’ve been wanting to use your walking foot for more than just straight lines, but have been reluctant to try free-motion quilting, this method is for YOU! 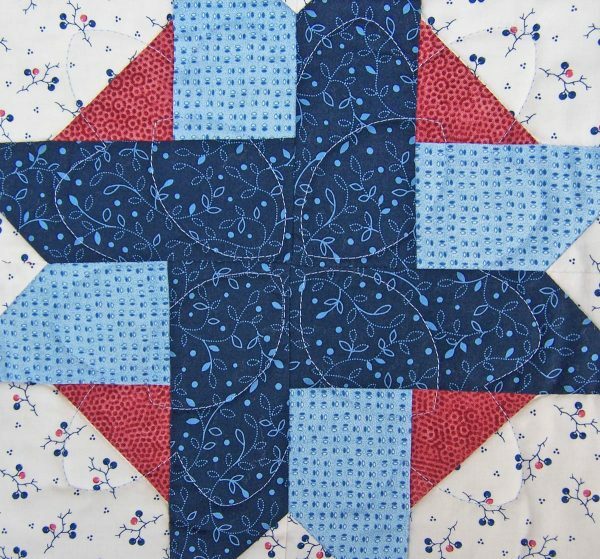 Start by layering your quilt top with batting and backing. Then baste the layers together using your favorite method. For this tip, I’m using a sample quilt sandwich consisting of two 12″ x 12″ solid-colored fabric squares and a 12″ square of American Spirit Batting by Fairfield, Superior Blend, 70% cotton/30% polyester. (Using a cotton/polyester blend gives the quilting a bit more loft.) I spray-basted the layers using Sulky KK2000. 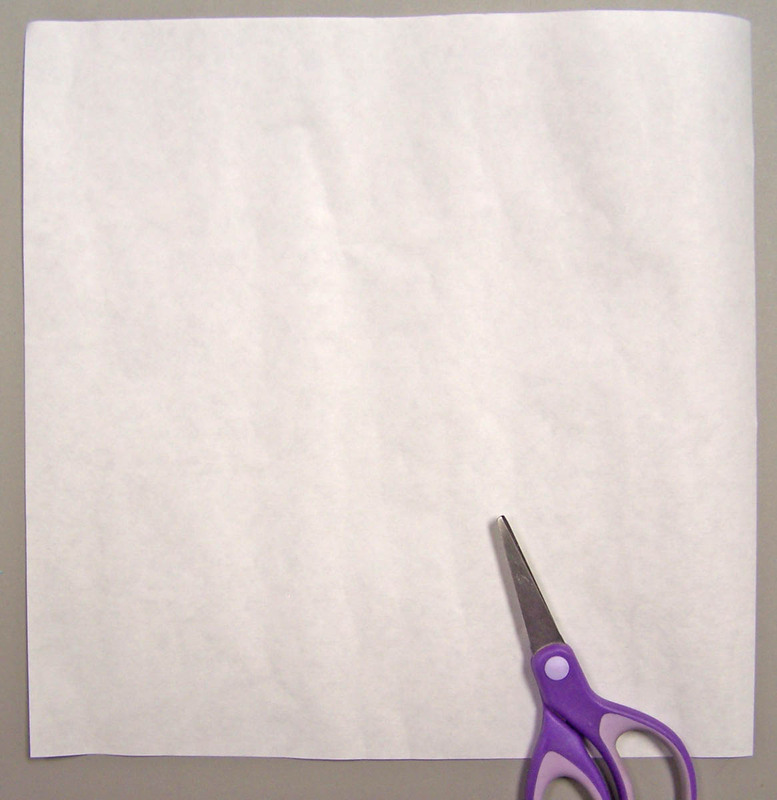 Next, cut a 10″ square of freezer paper. If you are not familiar with freezer paper, it’s available at your grocery store. 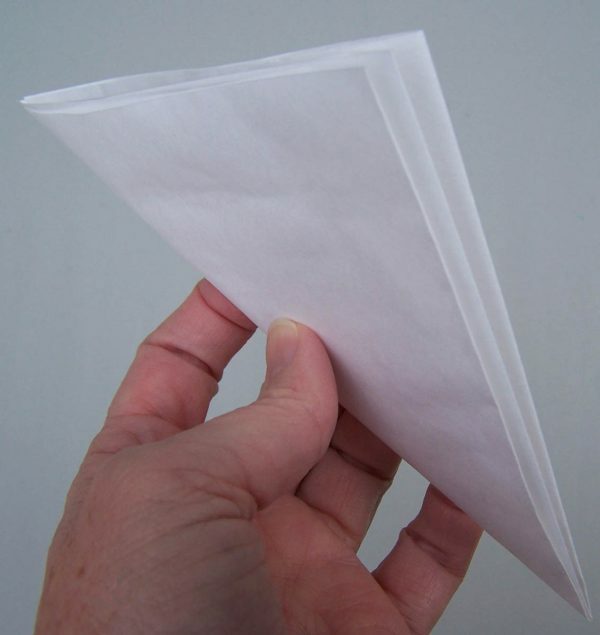 Fold the freezer-paper square in half vertically, and then fold it in half horizontally to make a 5″ square. 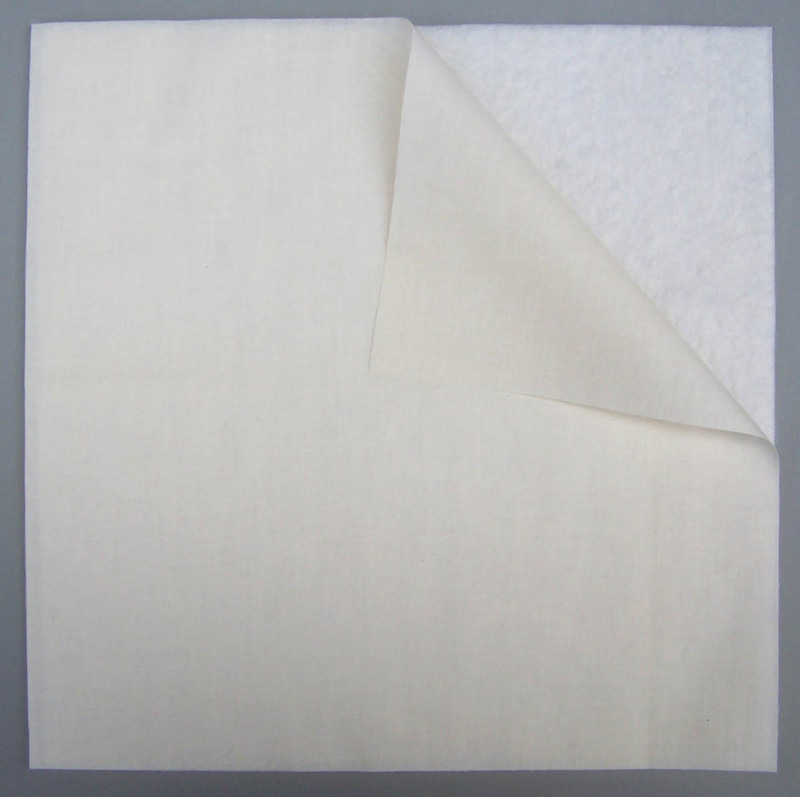 Finally, fold the 5″ square in half diagonally to make a triangle, making sure the folded edges are aligned. Using a pair of sharp paper scissors, free-hand cut a simple design. 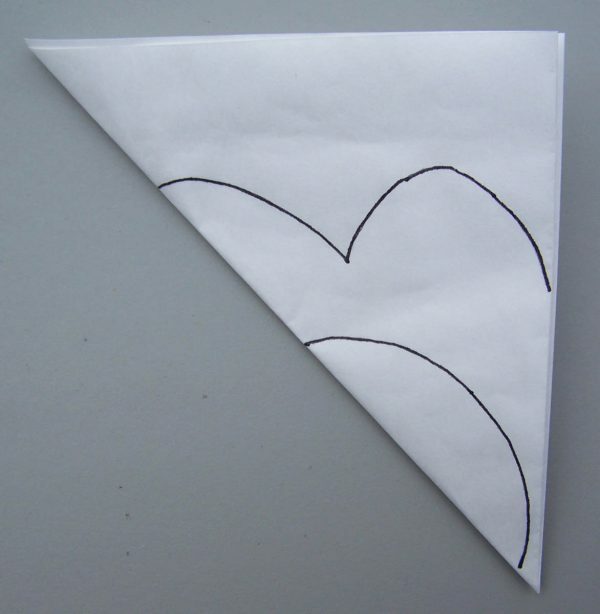 Or, draw the design first and then cut on the drawn line. A simple design with gentle curves works best for this technique. Attach the BERNINA Walking foot #50 to your BERNINA. Thread the top of the machine and use matching thread in the bobbin. (I used a Mettler 30 weight variegated red thread so you could see the design.) Starting on a straight side of the pattern and using a locking stitch, slowly stitch along the edge of the freezer paper. 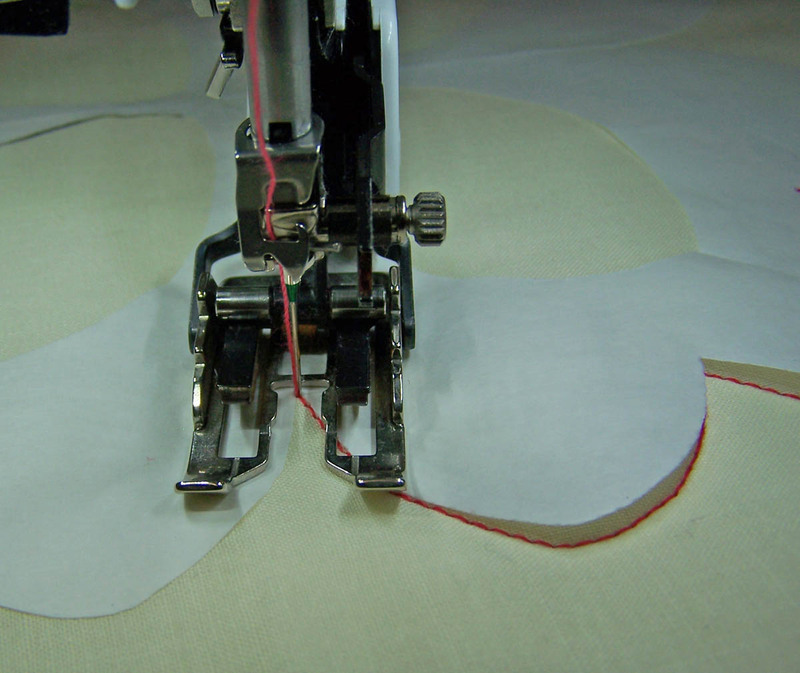 For outer curves and inside points, always stop with the needle in the down position and rotate the fabrics as needed. Then continue stitching along the edge of the paper. 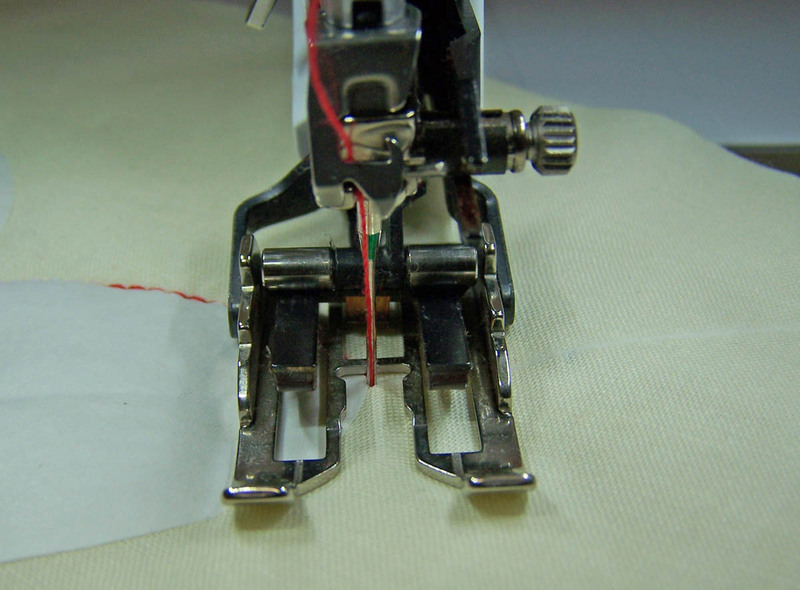 When you reach the starting point, use a locking stitch to secure the stitches. Remove the freezer paper to reveal the stitched design. Ignoring the block lines, I quilted the same design on top of a block. What a cool idea. I can’t wait to try it. Thanks! I am going to try this on my next quilt. The quilt I am binding now is my first quilt. I didn’t want to experiment using free motion quilting on it, I just did easy machine quilting (there are enough mistakes already!). Since I have one quilt under my belt I feel a little more confident. This way of machine quilting seems VERY user friendly 🙂 Thank you Nancy! I have a smallish sized quilt that has been waiting for “inspiration” as to how it should be quilted. . Cannot wait to use this . 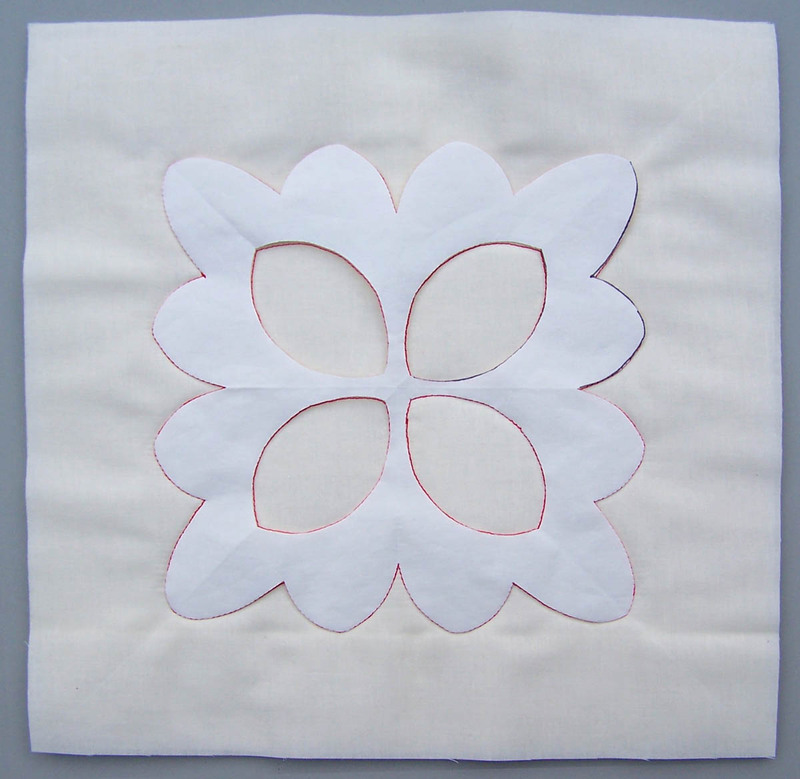 I am VERY new at quilting. I only have one finished quilt under my belt and I am working on another. I am going to definitely try this! Thanks so much for sharing such a great idea. Do I have to cut the shape out of the freezer paper and sew around it? Or could I iron on a piece of freezer paper and follow my design by sewing through the freezer paper, then removing it afterward? I never see anyone sew through the freezer paper, and I don’t know why.